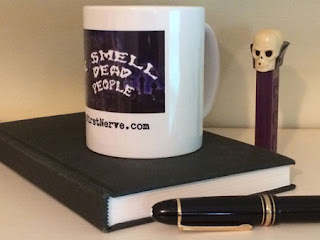 To keep our fingers limber while pecking out each winter-time installment of ISDP, we like nothing better than wrapping our gnarled hands around a hot mug of Ovaltine. It’s also calming to watch the steam rise into the chilly air of our garret atop FirstNerve Manor. We recently tired of the chipped, crack-spidered mug we’d been using for years and decided to splurge on a new one. We designed it ourselves and may we say we are very pleased with the results. So pleased, in fact, that we have made it available for purchase on CafePress.com. (Follow the link or look for the FirstNerve store). You know you want one. Especially if you or your loved ones work in a medical examiner’s office, the county probate office, the homicide squad, or the maintenance department of any largish apartment complex. Imagine how delighted they’ll be to get one as a gift! And with that we return to our regularly scheduled programming. The Lone Star State has been on a tear, with items in the previous three editions of ISDP. The Houston Chronicle’s Dale Lelzon had a story on November 24 that looked to extend the streak: “A 29-year-old man has been arrested after the body of his common-law wife was found wrapped in a blanket in a closet at her apartment in southwest Houston.” However, since the woman’s body (and associated “foul odor”) was discovered only after her concerned family came looking for her, the case fails to meet our strict criterion. Sorry, Dale. Maintenance workers at the Braeswood Oaks apartments made the gruesome discovery after residents reported a strong, foul odor coming from the air conditioning vents. Police estimate the victim may have been in the fridge for nearly a week. The 11-month-old baby and his 38-year-old father are both missing. The headline says it all: “Man kills, hides cousin’s body in freezer for 9 years. Duo fought with each other over financial issues.” Well, almost all. How was the frozen corpse discovered? Due to the power cuts [in Alexandria, Egypt], the freezer had broken down, which led to the spread of the dead body’s foul smell in the neighbourhood. The neighbors informed the police about the foul smell. Police rushed to the scene and opened the fridge only to find the body, which was still intact. Woman shared a bed with the body of her dead mother for FIVE YEARS in Germany… and it had mummified by the time social workers found it. An 83-year-old woman’s mummified remains were found by social workers who visited her home in Munich after neighbors became suspicious because they hadn’t seen her in years. The woman’s 55-year-old daughter had been living there since her mother died in 2009, and was evidently sharing a bed as her mother’s corpse. Apparently once you get past the odoriferous, active-decay phase of things, it becomes just regular creepy, not epic creepy. A 52-year-old Hamilton, Ontario, man died of an untreated illness because he and his family believed that God would cure him. Afterward, his wife sealed the bedroom door and air duct to contain the odor of decay, and continued, along with her five children (ages 11 to 22) and seven live-in adult friends, to pray for the man’s resurrection. It hadn’t happened by the time, six months later, that the sheriff arrived to evict them for nonpayment of the mortgage. FirstNerve nominates the entire Canadian mini-cult for this year’s Norman Bates Award. There’s been a resolution to an ISDP case we reported on three years ago. In the middle of his murder trial in Pitt County, North Carolina, Joey Owens decided to take a plea deal. He pleaded guilty to two counts of second degree murder, and will serve a 30-year minimum prison sentence. He shot and killed Samuel Bradley and Alice Hardy in their mobile home in 2011. Their bodies were discovered after neighbors called deputies to complain of a foul odor. Commenter Tara C. points out that we posted a CafePress.com link which didn't go to our specific store. The link is fixed now and goes directly to the FirstNerve store. Or click here. Thanks Tara, and happy shopping! 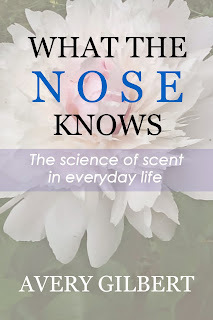 I recently received back the rights to What the Nose Knows: The Science of Scent in Everyday Life. 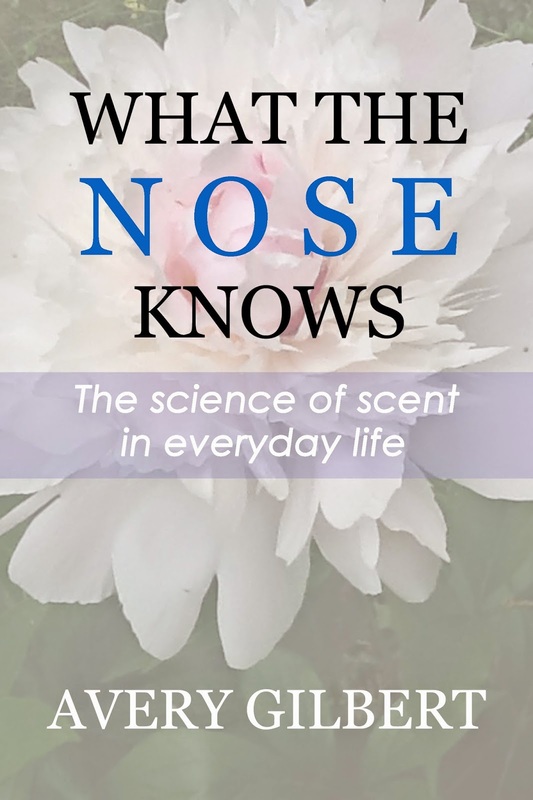 Today I released a new Kindle version of the book on Amazon.com. It has a new cover (above) and corrects a few typos. Best of all, I lowered the price to $5.99. If you don’t have a copy, now’s the time to grab one. What are you waiting for? Get yours here. P.S. The original hardcover printing has long been sold out. Right now I’m working on a print-on-demand paperback that I hope to make available soon.